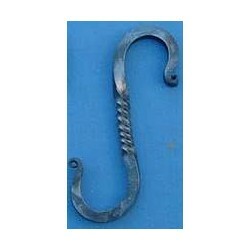 This S-hook is a little fancier with a twist in the middle. 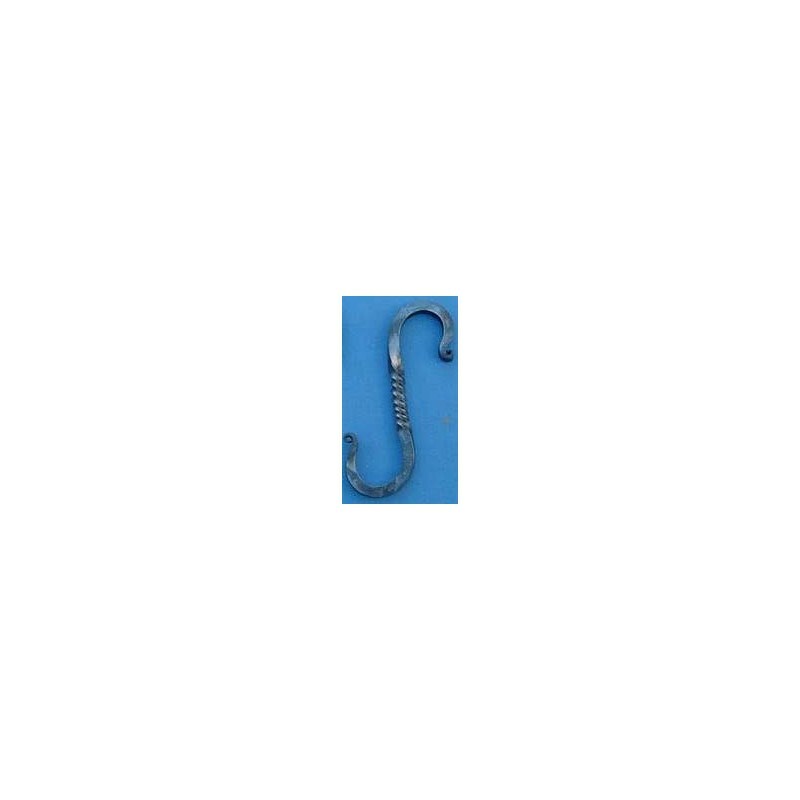 This S-hook is a little fancier with a twist in the middle. These can be used to hang your Dutch oven or coffee pot from a Tripod or Crossbar set. Keep a few extra one's around, they come in handy. Made of 1/4" square stock here in our shop.